Small business is the economic engine of every community and is particularly critical for low income communities. Two-thirds of all California businesses are estimated to have four or fewer employees and 85 percent are so small that their annual revenues are less than $1 million. These employers provide employment, goods and services and positive models for local communities in an environment starved for positive economic opportunity. A recent Wall Street Journal article focuses specifically on the key role that small business plays in employment and the GDP. 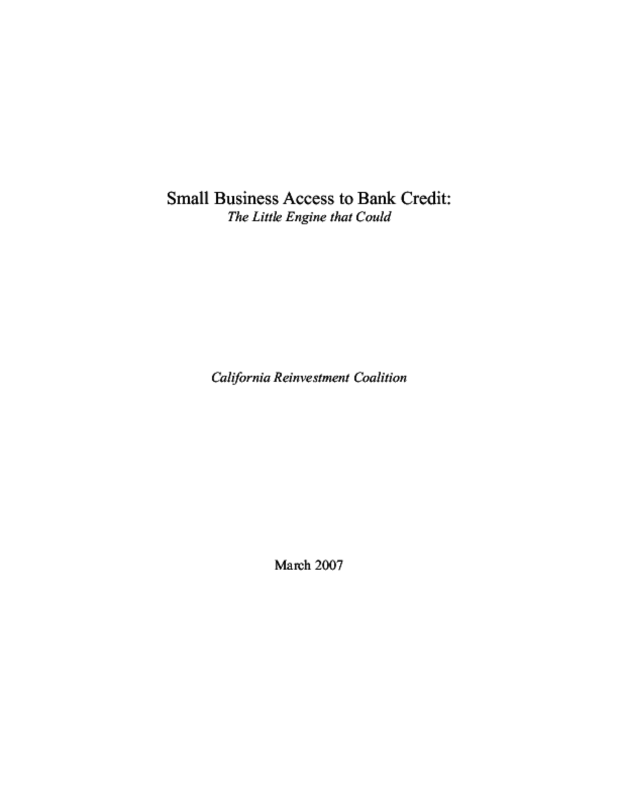 This report looks specifically at the 30 major small business lenders' credit activity in five California counties. Copyright 2003 California Reinvestment Coalition. All rights reserved.